Once your dog is clean and looking good, you’ve got a fresh start to keep him totally pristine. Why not dry him off, spray him down, and ensure he’s protected from fleas and ticks, too? 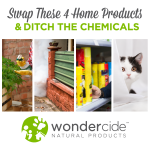 Flea & Tick Control for Pets + Home is made from cedar oil and comes in fresh cedar and cedar & lemongrass scents, so your dog will smell like a fresh forest when you use this natural tick spray. 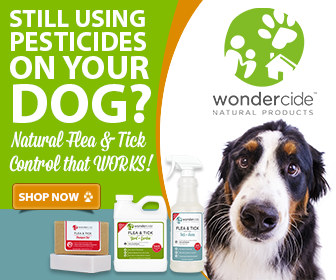 Before a walk is a great time to spray your dog because cedar works as a powerful, natural repellent to ticks. Spraying him down before your walk helps to create a barrier that keeps the ticks away and prevents them from attaching easily. If you forgot to spray your excited pup before the walk, spray him with Flea & Tick Control for Pets + Home after your walk to ensure that any ticks that may have hitched a ride are killed. 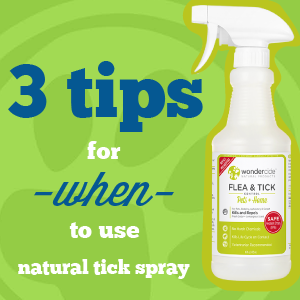 Flea & Tick Pets + Home is not only a repellent, but it is also a fast-acting, contact-kill solution. So, spray the ticks, and they will die within minutes. That way, ticks don’t end up on your furniture, yourself or your pet! These tips on timing can help you easily incorporate natural tick spray into you and your Wonderpup’s routine. You will find that since it’s easy to apply and so versatile, it can easily become your favorite tick control solution! I have been finding ticks all over the place ever since we bought out our dog, Lucky, three months ago. 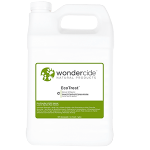 It was new to me to know before a walk is a great time to spray your dog because cedar works as a powerful, natural repellent to ticks. If this tick infestation keeps happening, I will be sure to call an expert to come help me get rid of them next weekend!